Astrology Gambit 1 - The old 'Pluto in Leo'trick. If you find you are facing someone who thinks they know a bit about astrology (i.e. someone who has had a natal chart drawn up and knows where their planets were situated at the moment they were born) just look at them thoughtfully, then say "You must have Pluto in ..." and tell them what house Pluto was in at the moment of their birth. This isn't as difficult as it sounds. Pluto only changes house about every 15 years so you know anyone born before the War will probably be Pluto in Pisces. Someone born between 1939 and 1956 has Pluto in Leo, and for a someone born between 1957 and 1971 you can say Pluto in Libra. If they seem amazed at your ability to see the influence of a relatively minor planet in their personality be sure to have a suitable reason for your deduction ready. 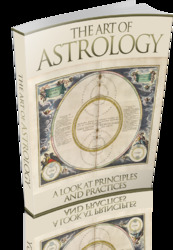 A good one is "I always find that Pluto in Leo people instinctively know when someone is telling them the truth". This both flatters and implies that you must be telling the truth or the querent would have already seen through your pretences. The same trick works with Uranus and Neptune (Uranus changes house every 14 years and Neptune every seven years) but beware of trying to remember too many details - if you learnt all that you would be as well learning astrology properly. Should someone happen to know about how slow moving the new planets are, the official line to take is that they influence a whole generation impersonally, rather than having a traumatic effect on an individual. Gambit 2 - The "I know what sign of the zodiac you are" opening. * You can ask them all some time before when their birthday is (they'll never remember), work out what everyone's Sun sign is and then just rhyme them off like a parrot (recommended). The effect is stunning. It doesn't matter if there are some you don't know. Take a guess (you have a one in 12 chance). If you happen to get any wrong there are at least a couple of ways of covering your mistake. Ask what date in the month the person's birthday is, then laugh gently and say "Oh yes. Getting near the cusp" (between the 19th and 24th of the month). But if you are working with people who don't seem to know too much, you can use it to cover any date in the month. If you hear astrologers use the phrase 'near the cusp' you know it is their way of saying "I will not be held responsible for any statement that I shall now make" - the astrologers' form of contractual small print. Ask the person involved what their Ascendant is. If they know it, just smile. Anyone who knows his or her Ascendant is probably an expert (i.e. someone who has read a book on the subject). If they don't know, the world is your oyster. If you've just guessed that someone's Sun Sign is Virgo and they inform you that it is really Aries there is no need even to look embarrassed. Just say "But I bet that your Ascendant is in Virgo." (This can be extended -see Gambit 3.) Then explain that because the Ascendant shows the real inner personality it was your sensitive, psychic nature that saw through to their real inner nature. Try not to laugh when you're saying this. Gambit 3 - The " Iknowyour Ascendant 'trick. This is like the Sun sign ploy, except that you tell everyone what sign their Ascendant is - their Rising Sign. As virtually no-one knows what their Ascendant is, it has the advantage that they can't prove you wrong. Just go round the room giving each person the sign that you think most suitable (i.e. one you can talk about sensibly if they ask you what effect this has on them). This can be great fun. For instance you always tell the most macho males they're really Virgos and tell the drunks that they're Pisces . 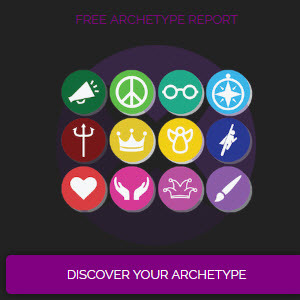 The real worry is that you may create enough interest for them to go out of their way to find out where their Ascendant really is and prove you wrong. To guard against this take careful details of where and when they were born (the latitude and longitude are both needed) and tell them that you will work it out for them. Don't do it of course. Just come back a week later and tell them you worked out their natal chart and you had guessed correctly. It works every time.